Malcolm Gladwell’s recent The New Yorker article Small Change: Why the revolution will not be tweeted argues we have lost a true sense of activism through a hyper-networked digital world. Thanks to my friend Kim who recommended this article. Gladwell doesn’t really provide an alternative. That is not his point. Instead he is arguing against the assumption that a world with greater participation through social media such as Facebook will not bring the same radical flavour in activism in the ‘rights-based’ movements of past decades. Is Gladwell onto something?… and why does this matter? Does this have anything to do with the reduction of extreme poverty? 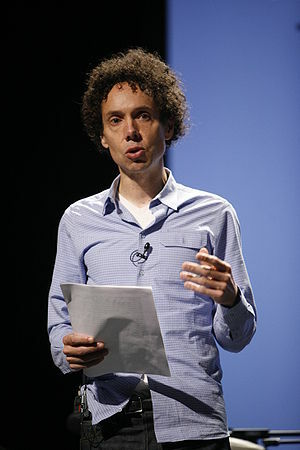 Gladwell argues that hierarchy and organisation, not just an extensive network enabling participation, is needed to effective activism to bring about change. He favours the term “…with military precision” as though the military has somehow magically already secured all of the right answers. Having spent close to two decades in the Australian Army myself, I am hesitant to just accept that statement but I do understand the point he is making. Have advocacy organisations lost the art and ability to be true activists? Has this inadvertently become a PR and brand war instead? Gladwell might say that it misses the mark because none of it is ‘new’, for all of the glossy brochures distributed and talks we attend, all the websites we click onto and the campaigns that engage our attention. What happens next is more of the same. A networked, weak-tie world is good at things like helping Wall Streeters get phones back from teen-age girls. How do we know we are really making a difference? A good question to ask. This entry was posted in Activism, Awareness, Malcolm Gladwell and tagged Activism, Malcolm Gladwell, Social media. Another great example of how an idea can spread. I can’t stand the expression ‘viral’- I think it is overused and abused. But think about what Matt Harding achieved through hus global jig. It is achieving more than over 32 million hits. It is the optimism that flows that connections are meaningful and possible. I think this just happens. It is not something you can manufacture. This is not what I am referring to when I refer to a ‘design challenge’. This entry was posted in Crowdsourcing, Design, Matt Harding and tagged Matt Harding, Social media, YouTube. It need not involve spending money. The actions should be applicable for someone at school as much as for a philanthropist with time and money who is trying to decide what to do next. It should cut across cultures. The actions should make sense and have impact regardless of the culture or language in which they are written. They need to be SMART: specific, measurable, actionable, realistic and time specific. The outcome from these 10 steps ought to be able make a tangible difference beyond just spending money or turning up to an awareness raising event. Maybe it is a little high-brow. If it is, how can I tone it down to make these more accessible? I have called them 10 Steps to Social Alchemy, meaning that through following these 10 steps there will be a social change and transformation takes place, an alchemic response. This is in draft, and one of the items to be crowdsourced over the next month through co-creation or possibly co-moderation given that the list is already formed. How well that works remains to be seen. Why did I come up with a complete list? I found in trying to explain this to other people, without a complete list that it was far too abstract to explain. Additionally, if through crowdsourcing 1,000 ideas were received, it might have been too numerous to manage. Form a small group of less than 10 people. If you have more than 10, divide yourselves into smaller groups. More small groups rather than few large ones. Form a group with people you can commit to meeting over a period of 10 or 12 months. Agree of the frequency you will meet. This could be online. It could be for as short as 30 minute. It might be as infrequent as monthly. No doubt you will see each other between ‘meetings’. This is not to suggest the meetings are formal. Far from it, it just gives a sense of focus and purpose. Pin-point an area on the map to learn about. Don’t make the area too large. No bigger than a country. It could be a small as a town or village. Plenty of countries to choose from in sub-Saharan Africa. Frame the conversation around an issue you would like to know more about. It could be water. It could be sanitation. It could be disease or maternal health. Try to make it something we all take for granted. Learn. Start to learn about this issue as it affects this area. When you convene as a group share what you have learnt with each other, as well as your questions and what you feel about the information. Use whatever information sources at your disposal without needing to spend money- internet, libraries, newspapers, talks, TV and radio, other people. Remember your sources, and document facts and figures. Connect. Connect with other groups or organisations that have a similar focus or interest. Retain your integrity as a small group. Remember it is about collaboration and helping others, not power and control! Have fun! Partner. See if it is possible to communicate and partner with someone in the area you are examining. Make the connections are directly as possible cutting out agency if you can. See how far you can go with social media. Of course there will be challenges- it will not be easy. Differences in language, culture, technology, time differences. This is what this is all about. Understanding the other, our neighbours in the global village. Recognising the challenges and learning to overcome them. Reflect and analyse. What is the one big idea you have learnt or discovered? It might not be new, but it could be new to you. Remember that the most contagious thing is an idea! Tell. Be the voice for the people in the area you are looking at, especially about the issue you are examining. How does the idea you have give this some focus? Who will you decide to tell and why? How do you expect them to react and what do you want them to do? What will you do once you have told them? Be bold- go ahead and write a letter to the Prime Minister, or maybe make a presentation to the local school. What will make the most difference? Love. Remember that the world is not perfect. Be thankful for what you have. Be constructive! If you want to go fast, travel alone. If you want to go far, then let’s go together. This entry was posted in Awareness, Crowdsourcing, Extreme poverty and tagged Activism, Crowdsourcing, Social media.